Comdoll traders huddle up! I’ve got not one, but TWO setups that you’ll definitely want to look at. 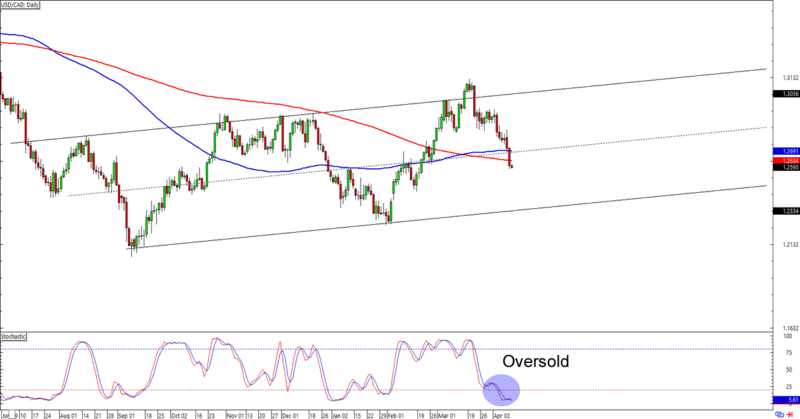 Check out what I spotted on USD/CAD and NZD/USD! Here’s one for my range-trading brothas out there! 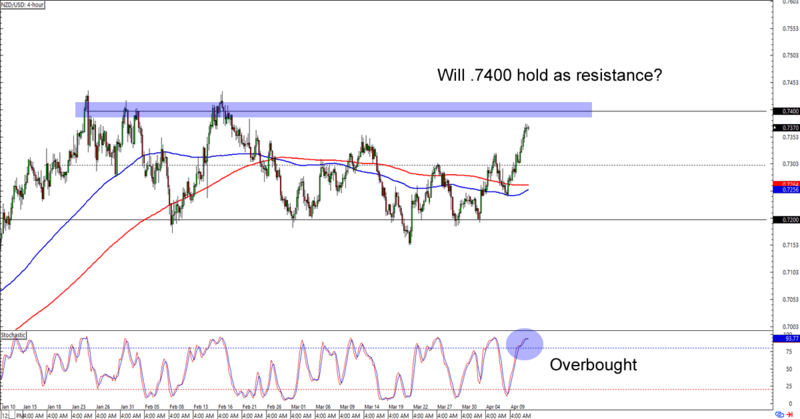 NZD/USD is about to hit .7400, a level that the bulls haven’t managed to break since the start of the year. Stochastic is already flashing an overbought signal, so it’s likely that the bears are gonna have another party. The bulls could still gain momentum, though, and push for an upside breakout. Think Kiwi is in for some losses against the Greenback? Or will the bears defend the resistance for another day? Watch this one closely, fellas! Mid-channel break alert! Now that USD/CAD has broken below the 1.2700 handle that marks the middle of an ascending channel, all eyes will be on the next possible support. 1.2500 is a possibility since the pair had reacted to the psychological level a few times in the last months. Stochastic is already sporting an oversold signal, so y’all better watch out for the earliest signs of the dollar finding support against the Loonie! Buying at 1.2500 or even the channel support nearer to 1.2350 could give you a sweet reward-to-risk ratio especially if you believe that the Greenback would maintain its slow and steady uptrend against the Loonie. If you’re no fan of the dollar, though, then you could also wait for a break below the support levels we’ve marked and aim for the next support levels nearer to 1.2100 or 1.2000. Whichever bias you choose to trade, make sure you practice good risk management when you execute your trades!